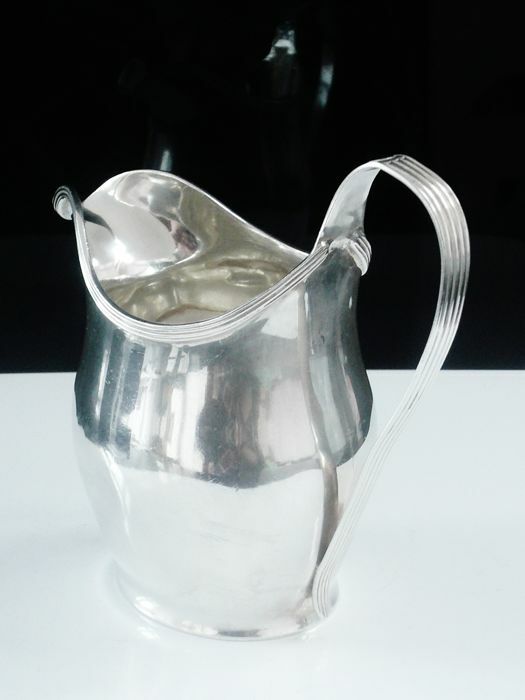 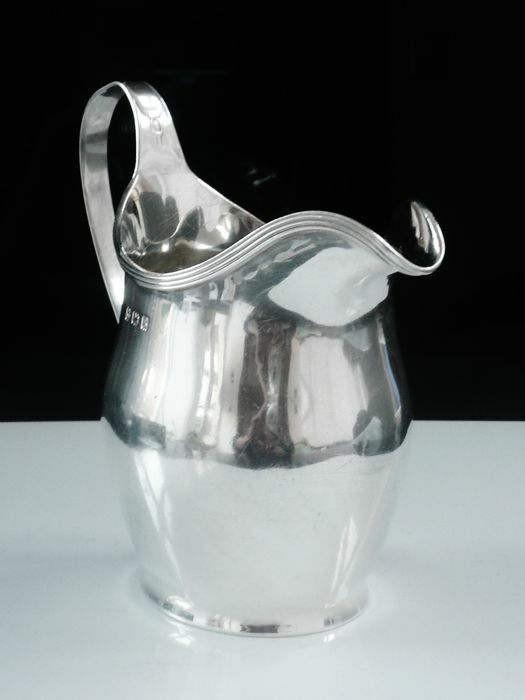 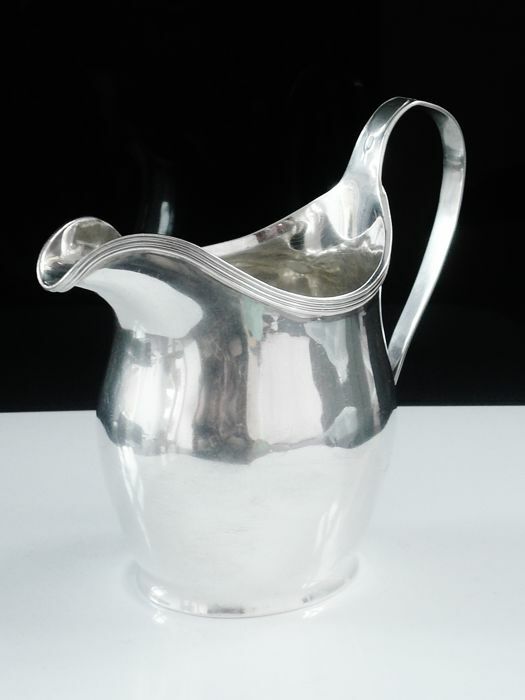 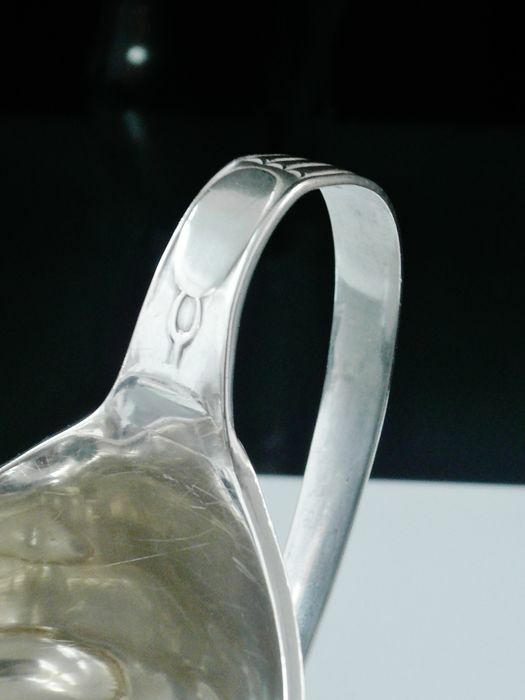 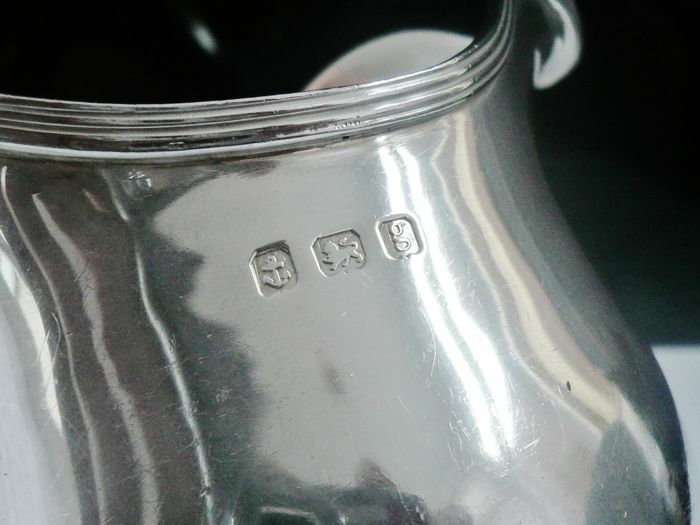 An English sterling silver cream jug, hallmarked from Birmingham in 1906. 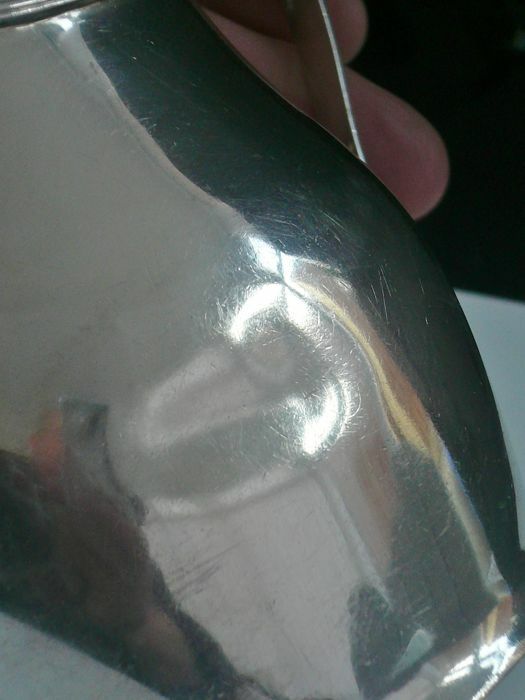 Good clean condition and of considerable weight, it does have one dent to one side. 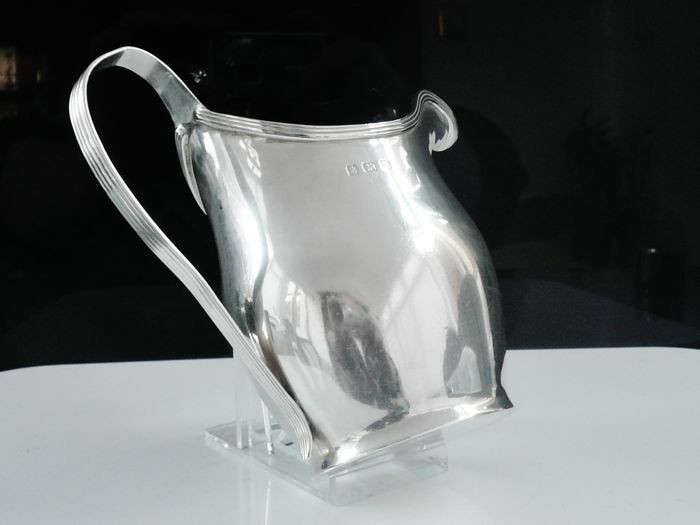 Stands 120mm tall and measures 130mm in length.